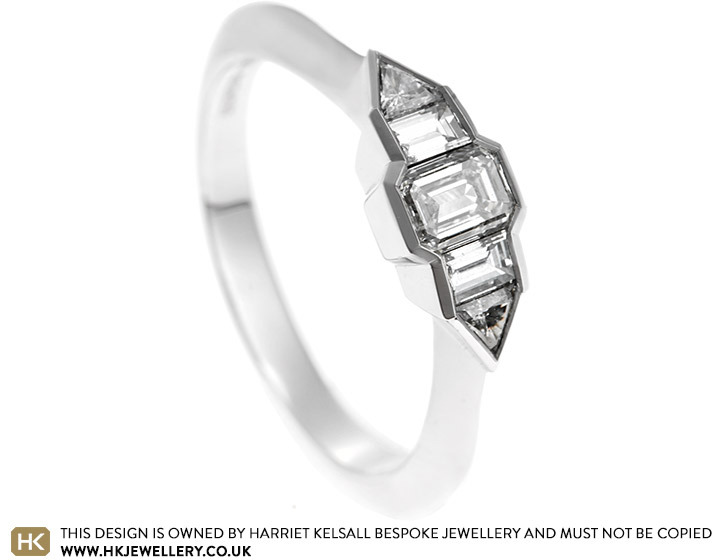 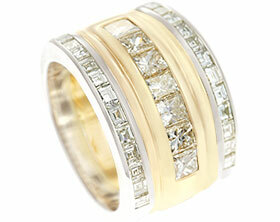 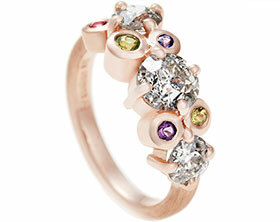 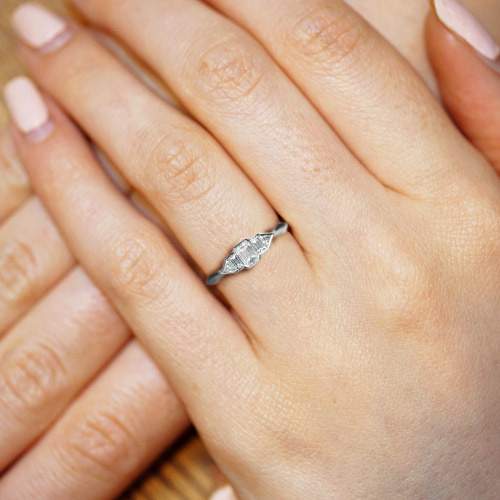 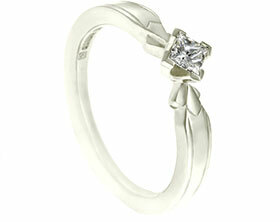 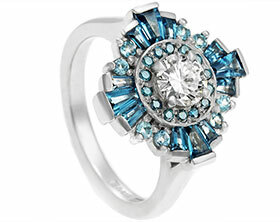 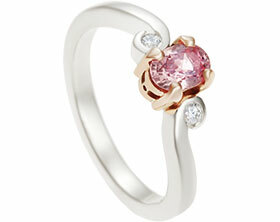 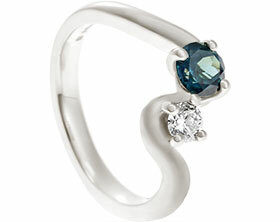 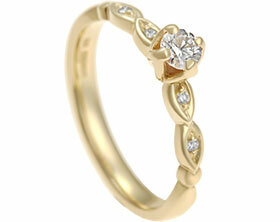 This modern five stone diamond engagement ring combines a mix of interesting cut diamonds. 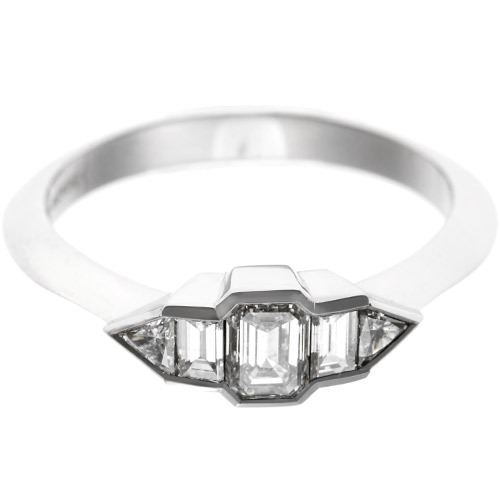 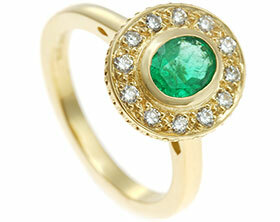 The central stone is a 4.5 x 3.3mm 0.35ct emerald cut E-F VS+ diamond and was chosen for its beautifully cut proportions. 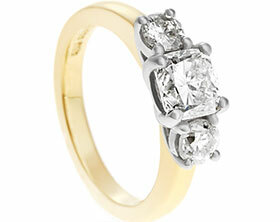 The central diamond is flanked on either side by a 3 x 2mm baguette cut E-F VS diamond (totaling 0.17ct). 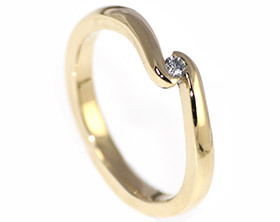 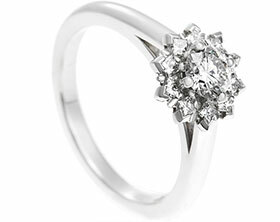 These beautiful stones are then framed by 3mm triangular cut E-F VS1-2 diamonds (totaling 0.11ct) which lead the channel setting to an elegant point. 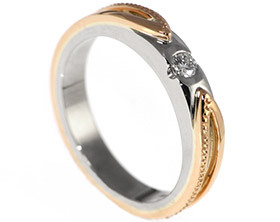 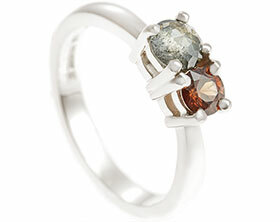 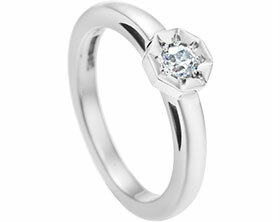 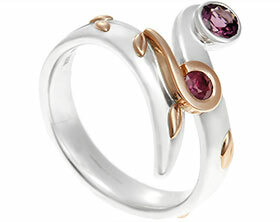 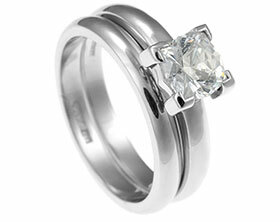 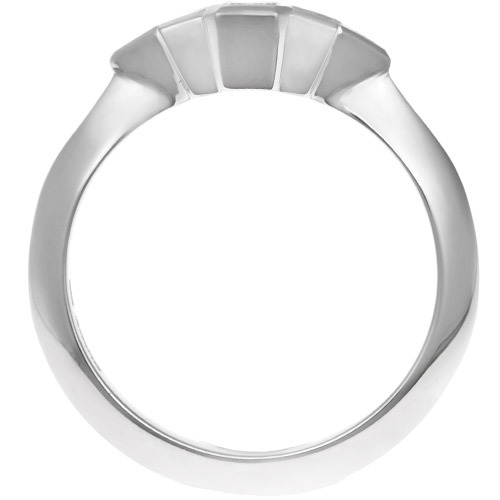 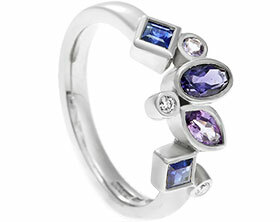 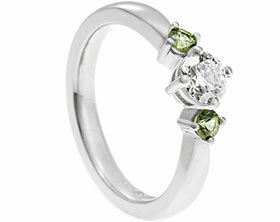 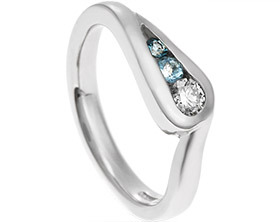 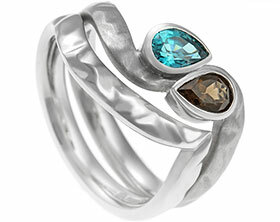 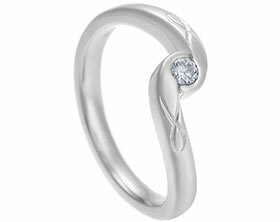 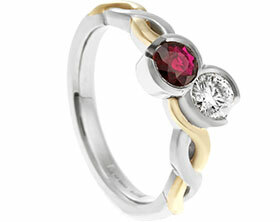 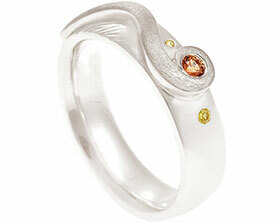 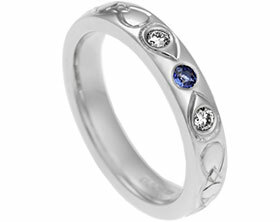 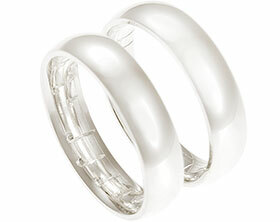 The recycled platinum band has a crisp apex profile which tapers towards the central stones. 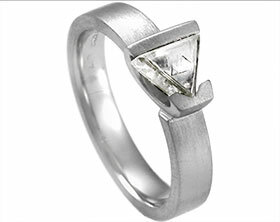 The total diamond carat weight of this ring is an impressive 0.63ct and the recycled platinum has been finished to a high shine to complement the beautiful stones.